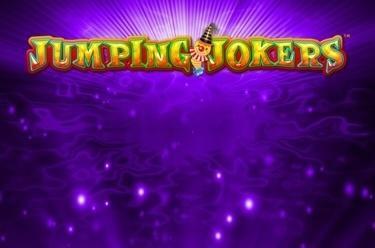 Play Jumping Jokers™ online for free now! 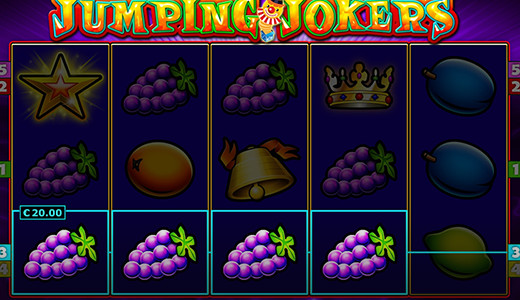 The slot Jumping Jokers™ - a classic fruit machine with a really cute joker - features 5 fixed pay lines on 5 reels. You score the highest Twist winnings with the crown that pays a mystery win and the star. Your aim in Jumping Jokers™ is to line up five identical winning symbols on one of the win lines that all run from left to right. It just would not be a proper joker slot game without a joker clowning around. When the funny guy appears on a reel each symbol of this reel (except for Scatter) is replaced by a further joker. The crown grants you even bigger winnings: When it lands 3, 4 or 5 times in any reel position you earn a mystery win! Who is happily clambering about the reels? He is one of the cutest slot performers since the advent of fruit machines: a cheeky little joker! Surrounded by classic fruit symbols such as plums and oranges he plays sweet pranks on the reels and replaces all winning symbols with his portrait. And what is the crowning glory of winnings? Well, the crown of course: It acts as a Scatter symbol and fetches plenty of Twists for your player account!